For many of us Jurassic Park was a turning point in blockbuster film watching - incredible CGI graphics in a family friendly movie. After a prolonged timeout, the film series has been rekindled and to reflect this the upcoming LEGO Jurassic World is due out on June 12th; the same day as the movie. Big dinos, tiny dinos, friendly dinos, angry dinos, flying dinos, battling dinos, and even goofy dinos! 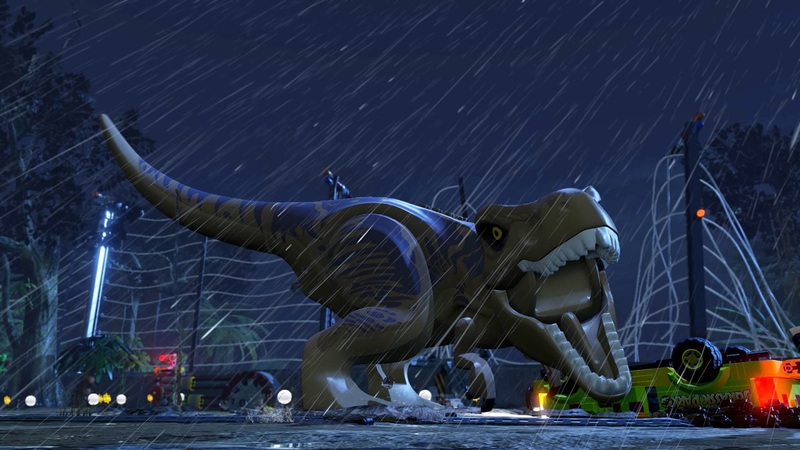 Between the 20+ different kinds of playable dinosaurs and more making an appearance in LEGO Jurassic World, players will have plenty to do in this colossal game when it comes out on the 12th June 2015, for PlayStation®4, PlayStation®3, PlayStation®Vita, Xbox One, Xbox 360, Wii™U, Nintendo 3DS™ and PC. Page created in 0.6781 seconds.